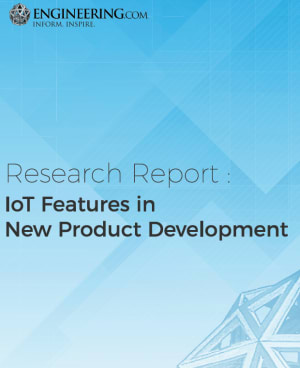 Engineering.com surveyed 205 product development professionals about their plans to include Internet of Things (IoT) features in their new products. We asked the survey respondents whether they were in the evaluation, pilot, or deployed stage of delivery to their customers. The answers were interesting – IoT development was more pervasive than we expected. IoT is in the mainstream. More than 60% of respondents are at least evaluating adding IoT capabilities to their products. IoT adoption isn’t limited to manufacturers of finished goods. Projects are underway at companies in all industries, from processed products such as fluids or raw materials to component and part manufacturers. Multiple types of IoT offerings are in development including automated management of devices, tracking assets in the field and analytics for product performance. The data supporting these findings are presented in charts and graphics in this 26 page report.